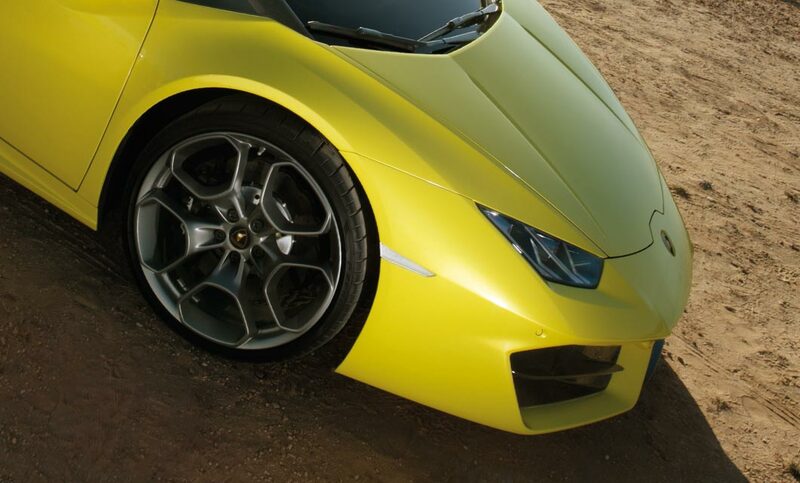 A Lamborghini in the purest form, rear wheel drive with added exhilaration from the open-air experience. Rybrook Lamborghini Bristol will look after you with the highest levels of customer service from your initial enquiry to vehicle handover, as well as keeping your Huracán 580-2 at its best with our dedicated aftersales team. The Huracán Spyder was well received by journalists following it’s launch, with Auto Express saying the 580-2 “is as sensational to drive as it is to look at”. All the more reason to experience it for yourself. The Huracán RWD Spyder has been redesigned from both the front and the rear, it’s dynamic looks complimented with the large front air intakes which increase down pressure on the front axle. The 19” Kari wheels adorn Pirelli P Zero tyres, which have been exclusively developed for the new RWD Huracán. Inside, the sporty yet elegant interiors of the 580-2 Spyder were developed to provide both plentiful space and exceptional luxury. Each detail of the interior has been created to make the driving experience extremely engaging for all the occupants of the passenger compartment thanks to the and almost limitless options of colour and trim finishes. The Lamborghini Huracán RWD Spyder stimulates all the senses. Excitement begins with the first glance, before jumping in and lowering the roof to listen to the roar of that V10 whilst feeling the wind in your hair. Exclusive ANIMA technology adds to the driving experience of the Huracán, which allows you to adapt the vehicle’s behavior to your driving needs. If you're looking for thrills and fun while driving, then you will really appreciate the slight oversteering capabilities of the SPORT setting. On the other hand, the CORSA setting allows you to enjoy a racing-style drive. Finally, the STRADA setting will provide a comfortable ride with maximum grip. On the one hand, you will have the incredible power and acceleration of a longitudinal mid-mount naturally aspirated V10 engine, which allows you to accelerate from 0-60mph in just 3.6 seconds and reaches a maximum speed of 199mph. On the other, you can take advantage of technologies such as the Lamborghini Double Clutch transmission and rear wheel drive, which provide you with the kind of performance that maximizes driving pleasure. This means you can have all the power you need and at the same time the fun, exhilarating drive you desire every day. Double wishbone architecture of the suspension offers the perfect balance between every day convenience and sporting ability. Below are the technical specifications for the New Huracan LP 580-2 Spyder. Interested in a New Huracan LP 580-2 Spyder?